At Bensalem, our golf professionals are available to help you with all aspects of your game. Private Lessons are generally 30-40 minutes. Couples and group lessons are also available upon request. If you are interested in learning all aspects of the game, feel free to take advantage of our package deal! Group Lessons: Please call the Proshop for more information about group lessons. John Carpineta (“Johnny C”) gained his PGA card at age 64. 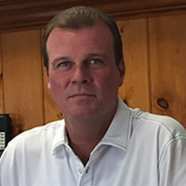 He is a member of the Philadelphia Section PGA where he serves on the Player Development Committee, co-chairs the PGA Reach Program called HOPE (Helping Our Patriots Everywhere) along with the Wounded Warriors Project and Philly VA Amputee Swing endeavor. John loves to compete in tournaments. He is the oldest member still competing on the FDS Winter Tour and plays in Section and PAO events. He won the PGA Bunker Club Championship in 2012. and In 2015, John won the PGA Player Development Award in the Philadelphia Section. John shares any success with his fellow assistants and staff at Bensalem under the leadership of his Director of Golf, James Bogan. Tom, a Philly native and Archbishop Ryan graduate, has been in the golf industry for over 30 years. After high school, Tom continued his golf career at Temple University in 1983-84. Shortly after, he moved to Myrtle Beach, SC to work as a golf professional at Indian Wells for five years. 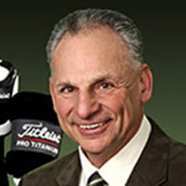 In 1993, Tom returned back home to Bensalem CC, where he still resides as an Assistant Golf and Teaching Professional. 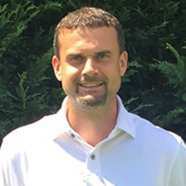 A Bensalem native, Matt has been in the golf industry for more than 12 years. After playing golf at Marshall University, Matt came back to Bensalem as the Teaching Professional since 2007. Matt has an extensive background with the development of junior golfers, which many have gone on to achieve collegiate golf scholarships. Bensalem Township Country Club has different junior golf programs held at the course each year. Our Junior Golf League at Bensalem is a 5 week program on Monday evenings beginning around the last week of June. This program is for children (ages 6-18) of all skill levels. The goal of this program is to not only teach the basic fundamentals of golf, but puts an emphasis on playing the golf course as much as possible. For more information about this league, please contact Matt Foust at 215-639-5556 ext 1. The First Tee of Philadelphia offers free programs throughout the summer. These programs are great for younger children being introduced to the game for the first time. For more information and to register for these programs, go to the First Tee website at https://www.thefirstteephiladelphia.org. Bensalem Township Parks and Recreation programs offer a 5-day clinic for children (ages 8-18) in the month of July. During the week, kids will learn basic golf fundamentals and proper golf course etiquette, and will be introduced to the golf course at the end of the week. 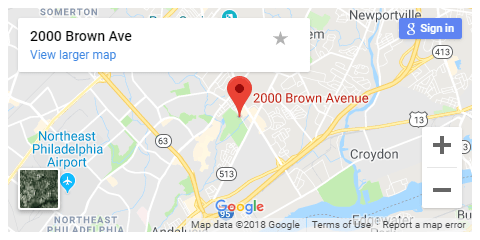 For more information and to register for this program, go to the Bensalem Township Parks and Recreation website at https://www.bensalempa.gov/rec-programs.html, or call the Bensalem Township Municipal Building at 215-633-3600.